Hotel Dieu Shaver Health and Rehabilitation Centre is proud to announce it has been successful in achieving the Ministry of Health and Long-Term Care Assistive Devices Program designation of Expanded Level Augmentative and Alternative Communication (AAC) Clinic. The AAC Clinic is a specialty clinic at Hotel Dieu Shaver that provides assistive technology and services for individuals in Niagara whose speech and/or writing does not meet their daily needs. 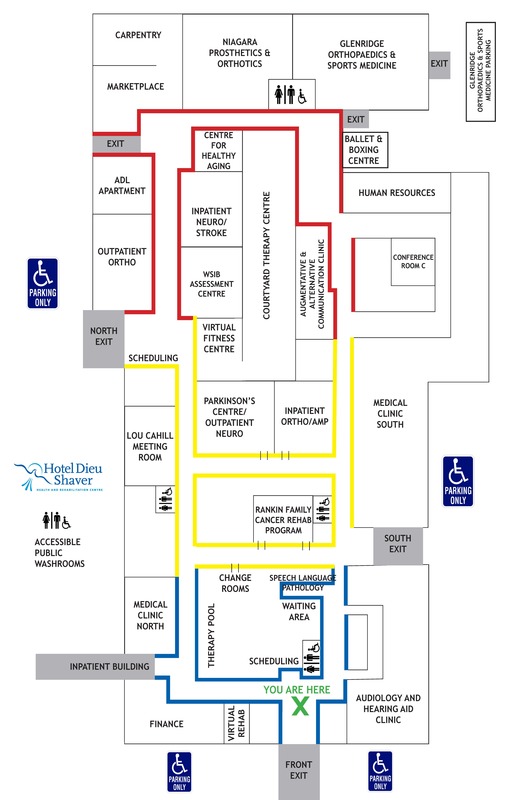 “Hotel Dieu Shaver recognized that there was a gap in services for adults in augmentative communication," explains Jane Rufrano, CEO of Hotel Dieu Shaver Health and Rehabilitation Centre. “Our AAC Clinic staff and Leadership Team have been working tirelessly to ensure we can provide Niagara residents with the resources and care they need to reach their optimal level of independence and wellbeing." Designation under such an esteemed title permits augmentative communication clients who graduate from Niagara Children's Centre at the age of 18, the opportunity to continue to receive service at Hotel Dieu Shaver. Additionally, adults with acquired conditions, such as Amyotrophic Lateral Sclerosis (ALS), Aphasia and congenital conditions, such as Cerebral Palsy, will have access to a local augmentative communication service, now that the Clinic is designated. “An AAC Clinic as young as ours has never received expanded level designation under the Ministry of Health and Long-Term Care Assistive Devices Program," continues Rufrano. “Achieving designation of Expanded Level AAC Clinic is incredibly unique, an accomplishment that sets us apart."